Facebook Pages are playing a great role in Social media optimization and are helpful for the growth of online or even offline business. Facebook is the biggest social media platform. That’s why every person on Facebook be a part of some groups, event and also likes pages to update knowledge, fun and for some other interests. Facebook has millions of pages in which some of are fans page, brand, celebrity, business and other community pages. These all type of pages are separate from each other. Pages help us to interact with readers and convert these readers into clients. 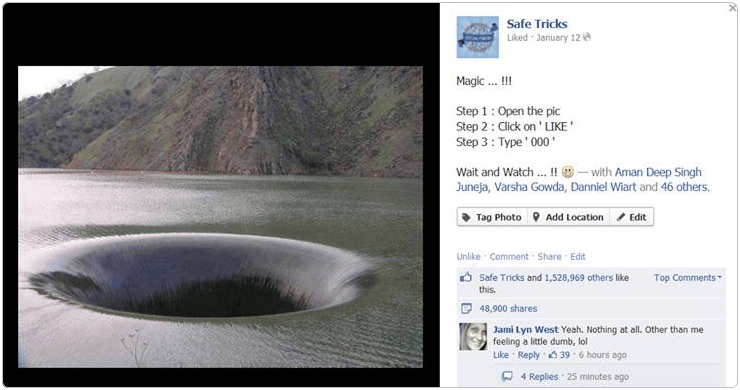 Even you can see our Safe Tricks Page has 600k+ likes and our team also has around 20+ pages with total 2M+ likes it just because of some techniques and patience in our work. Facebook pages are increasing at large extend, so to control their growth, Facebook takes some serious steps and introduce EdgeRank algorithm for news feed. After this update, every page reaches their audience only for 10% on avg for each and every post. 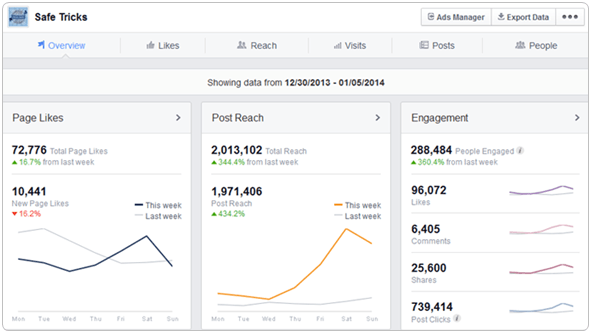 So it’s not easy to maintain the growth of Facebook pages and also getting new likes. So if you are struggling for getting likes here we are going to explain some simple and easy steps to increase Facebook page likes. Tips Before Starting New Page. 1. Important Settings For Pages. 2. Invite Friends To Increase Facebook Page Likes. 3. Sharing in Groups, Comments And Events. 4. Exchange Page Sharing To Increase Facebook Page Likes. 5. Convert Account In Page. 6. 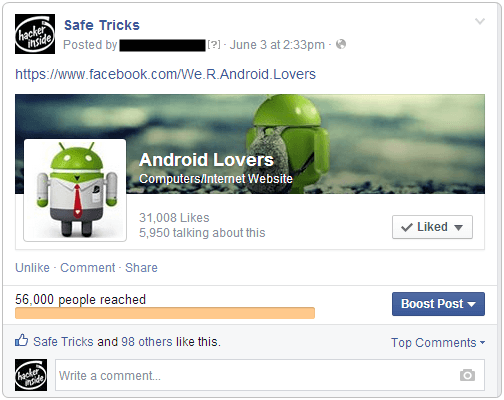 Merge Duplicate Pages To Increase Facebook Page Likes. Some Tricky Facts About Merging. 7. Run Contest and Giveaways On Facebook Page. 8. Quality Or Viral Posts To Increase Facebook Page Likes. 9. Understand Page Performance and Insights. 10. Create Special Offers And Ads. Whenever You create a new page always make sure that Page info should be accurate and according to page name and type. Suppose if your page is about Education then always select accurate category and sub category which help Facebook search engine and news feed to understand your page type and increase chances of getting more likes because it helps people to find pages easily with similar type and get suggestion of your page and some other info like address, description, email, website (if any). These page info details are must and help to engaged with audience. Check out:- Invite All Friends To Like Facebook Page. Must Check:- Add all friends to Facebook Group just by Single click. The one and famous technique by which you can grow you page at tremendous speed. In exchange sharing with pages you have to share others pages on yours and they share yours page on their one. This is only best ways to increase Facebook page likes effectively. We also do exchange sharing of our celebrity and other fans pages. There are many groups always for S4S ( share for Share) where different page admin who are interested do Exchange page sharing. Check Here:- How To Convert Facebook Profile Into Page. Check out:- How To Merge Facebook Pages. 3. 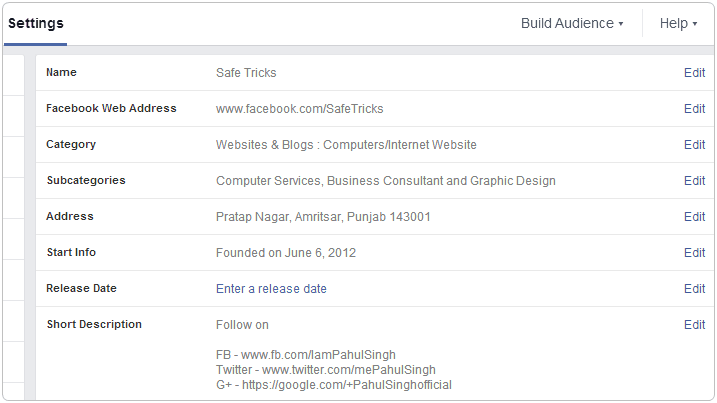 If you have big pages with more than 200+ like then follow our name change tricks listed in Facebook Tricks Table. After Change your name with existing then merge them into single. These are some techniques which can use to increase Facebook likes just by merging pages in right way. But Sometimes due to excessive usage page merging may get blocked. We have our pages which offers contest for their page fans. We also introduce number of contest on our pages. In pages running contests also help in page growth you many offer prizes, giveaways which attract users. Always introduce photo submission contest and offer prizes for getting tops position just bases on the likes and shares. Then Your users will try to get more likes just by tagging their friends, sharing and other ways to win. So all the efforts done on user side also help to your page to get popular within few days. But we deleted that viral post after 1 day just to protect our page not to be listed as spam. Their are Number post which get viral but not like above case study. That type post get shares which help in page growth to check manually. You can freely check our old update at our Safe Tricks fans Page. 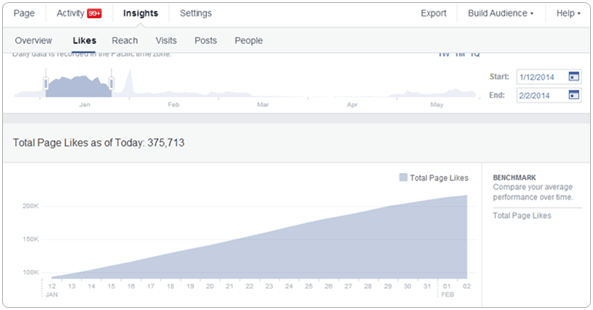 Facebook Insight are best and having lots of amazing features which to understand your page in right way. Always check your Page Likes type and location. Means which countries people are most engaged with you page and which is document in you page male or Female. So try make post according to these types. Always check People Online Status which help to understand which time and day is best for posting that post which have chances to get viral. Always make comparisons between text and image post of different type understand which type post get more likes, share and reach. These facts also help to increase page talking about. So it necessary to see overall performance of page in insight just to get more engagement of audience with page. Creating Offers on page is also a best idea. If your page related to website, brand or blog then creating offer with boost post help to get more likes. Therefore, offers also helps you to get more likes. Try offer discounts, other products reference in which people take interest. Thus, they join your page to take benefits of that offer. Page offers normally receives more reach than normal posts. So offers are best way to reach more audience. Facebook ads are little bit expensive but for business pages its a right choice to create offer + Ads in combine which increase your sales and also help to increase Facebook page likes. Facebook Pages depend on all about how we use and manage them. We reached this benchmark just because of using page in well mannered way, quality content, viral posts, viral page and some other facts. If you follow all the above tips and work continuously on your page definitely your page will starting and tremendous speed within few months. Here is screenshot in which you can see how we reached from 100k to 200k in just few days. We feel that after reading this whole article you have learn something new and which helps you push your pages with great startup. These tips and ways are based on our experience which We have gained after working from last 4 years in Facebook Page marketing. We know starting of anything look like difficult but We hope this successive guide will help you to increase Facebook page likes. If you have any question or doubt feel free to ask us anytime.